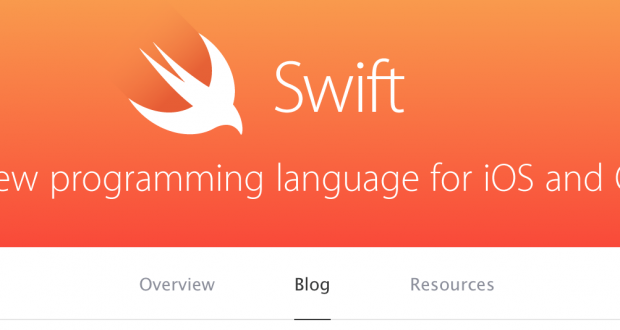 IWASSA Co.: Apple launches formal code to a new programming language "Swift "
Apple launches formal code to a new programming language "Swift "
Can become familiarized themselves wanting more closely with the programming language of Apple's new Swift source of information and a new debate, a formal code of the language on the site developers will be supervised by a group of Apple engineers to share their experience. She said in the first blog post that it has transferred us behind the scenes of the design language of the engineers who they created in addition to the latest news and tips to benefit more than one language Swift. To begin, you must inauguration Xcode 6 beta available for free to those who have the expense of the developers in the Resources tab you will find a large collection of links to video clips and educational books and the typical code to help you to increase your experience in programming at the Swift. In response, engineers Apple to compromise applications that evolution by Swift, they will work directly on the iOS 8 and OS X Yosemite who Setahan for all in the autumn, and that the application will work without problems with both OS X Mavericks or iOS 7 because Xcode does include a small library of language in therefore, the application will not find problems with different operating systems, current and future.